A former art and photography teacher, Michael Chapman emerged from the folk scene in Yorkshire, England, gaining a reputation as one of England's finest original singer-songwriters. A deal with the fledgling Harvest label (EMI's "underground" boutique) led to the release of Rainmaker in 1969. The album featured the support of Rick Kemp (who went on to provide bass for Chapman for many years) and Danny Thompson. Window followed in short order, with Fully Qualified Survivor completing a debut triptych that sent waves of critical appreciation through the music industry, with influential BBC disc jockey John Peel supporting Chapman whenever possible. Sales, unfortunately, did not match the critical acclaim for Chapman's work, leaving Fully Qualified Survivor as a high point, with "Postcards of Scarborough" generally being the one cut most often remembered when Chapman is discussed. After the release of Wrecked Again, Chapman parted company with Harvest, choosing to sign to Decca's subsidiary Deram, where he altered course somewhat, adding electric guitar and harder rhythms to his work. The first result, Millstone Grit, is a somewhat confused affair, with Chapman's trademark gloomy writing mixed with a couple of lively instrumentals, some almost experimental work, and the country-styled "Expressway in the Rain." Deal Gone Down, more coherent, and Pleasures Of the Street, a live set, followed. Don Nix produced Savage Amusement, which reworked a couple of earlier songs; the album's title would be used in the mid-'80s for a band featuring Chapman and Kemp. 1977 saw the end of Chapman's Decca deal, and the beginning of an association with Criminal Records in 1978; both labels released versions of The Man Who Hated Mornings. Chapman turned his hand to the release of a guitar instruction record. He continued to gig and record consistently, varying styles and sounds, sometimes working with a full group, more often working with Kemp alone. 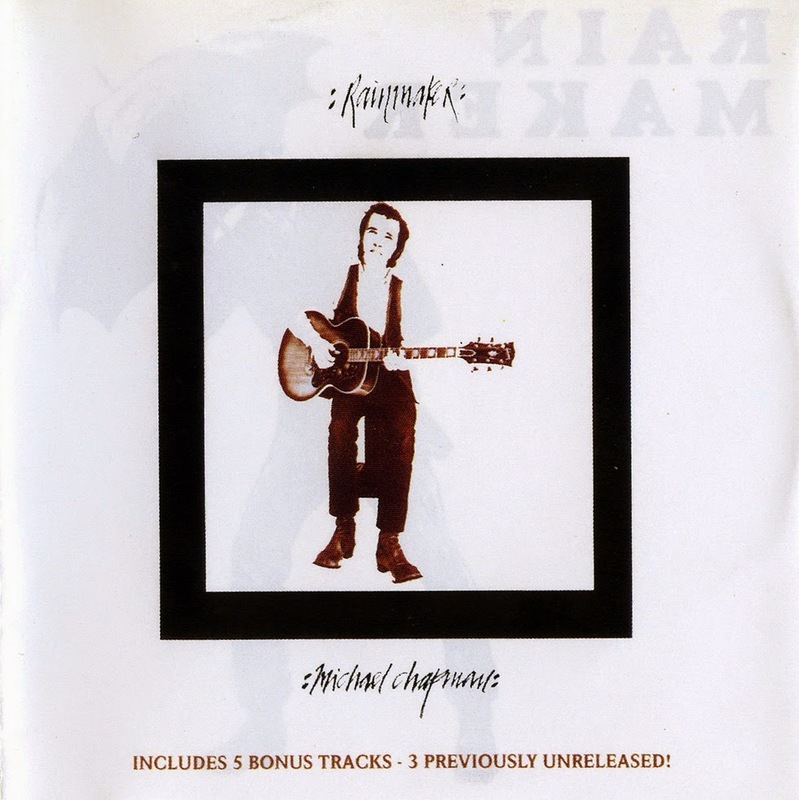 After the release of Heartbeat in 1987, Chapman experimented with self-released albums. As of the 1997 release of Dreaming Out Loud, Chapman was releasing albums at the rate of one every two years, and is still attracting high praise, if not great sales. Growing Pains followed in 2000. In 1969 British singer/songwriter Michael Chapman took the U.K.'s folk-rock world by surprise with his debut album, Rainmaker, on the Harvest label. In an era when each week garnered a new surprise in the music world, gathering serious and widespread critical acclaim wasn't easy, and finding a buying public near impossible. Rainmaker showcases a new talent who holds nothing back for himself. Every songwriting principle and trick, killer guitar riff, and songwriting hook in his bag makes an appearance here (something he would never do again). "It Didn't Work Out," a gorgeous broken love ballad with a philosophical bent, along with Chapman's doleful resigned vocal; the electric guitars cascade over fingerpicked acoustics, and acoustic and electric basses — courtesy of Rick Kemp and Danny Thompson. Here, the old-English melody style was welded to a rock backbeat and fused into a whole, rhythmic, elegant, but sparse tale of broken love. The fiery emotions were carried through the measures by Chapman's tumultuous guitar leads. On the title track, an instrumental with thunderstorm sound effects, the weave between electricity and natural sound grows tighter. When playing in traditional or blues styles, such as the dark, menacing folk-blues of "No One Left to Care," Chapman fuses the rock pulse to the folk or blues song, open-tuning his guitars to such a degree that drones created multiple tones and a solid bottom for his voice to pounce down upon. They also create a sense of emotional honesty not so prevalent on the scene at the time — artists were given to interpret old songs with an air of academic distance — Chapman chews his words and spits them out while rifling off guitar riffs at every turn that are as gnarly and venomous as anything by Richard Thompson at the time. Not to mention the stunning instrumental "Thank You, P.K., 1944," with its silvery 12-string work that turns the tonal qualities of the instrument inside out so completely you could swear there were three guitars players — despite the fact that none of the guitar parts were overdubbed — or the shimmering, high-whining slide work on the rock growler "Small Stones." The CD reissue contains five bonus tracks, a shorter single version of "It Didn't Work Out," and its B-side, "Mozart Lives Uptown," as well as a second part to that track, "On My Way Again," and the humorous but poignant "Bert Jansch Meets Frankenstein" (the latter three previously unreleased). 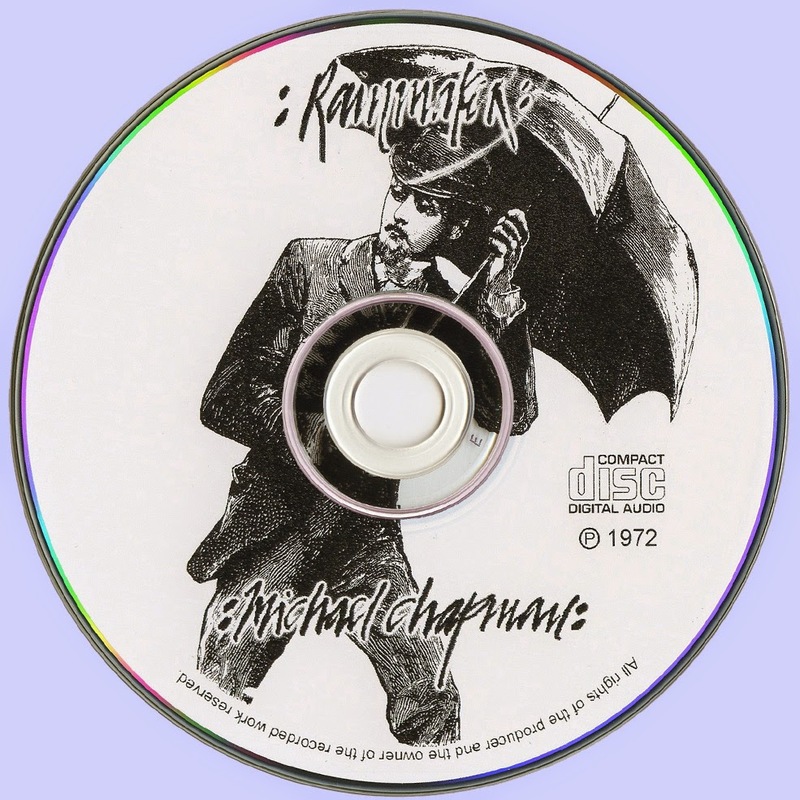 As auspicious a debut as Rainmaker was for its fine songwriting, history has proved it to be more so because it's the only record in Chapman's distinguished catalog where he ever showcased his truly virtuosic talent as a guitarist. Why, is anybody's guess?